The campsite is a Haruki Murakami novel come to life. The June afternoon was hot and sunny when my wife called to excitedly announce that the summer mountaineering expedition we had been planning the past few months was finally materialising. She was so loud and elated that I had to hold my phone away from my ear, lest my eardrums give in even before we reach our desired altitude. I don’t blame her. 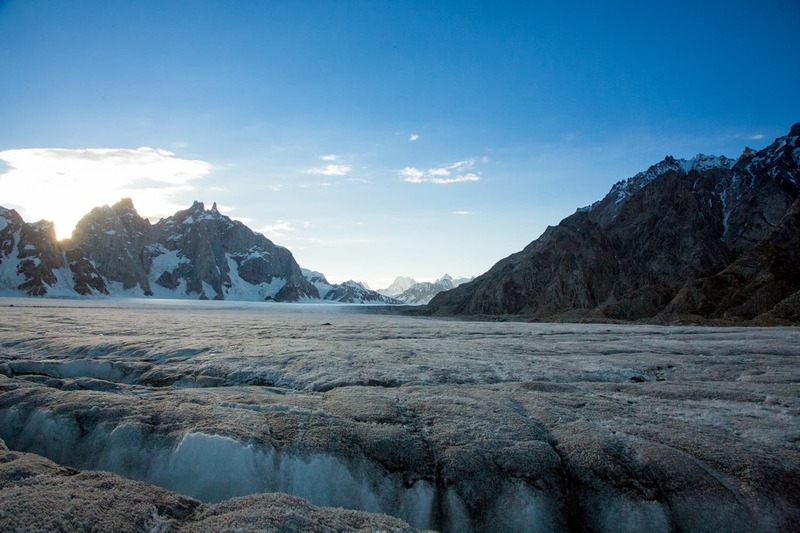 The trekking trip to Snow Lake, a high-altitude glacial basin in the Karakoram mountain range in Gilgit-Baltistan, had always been a dream for the both of us. Our party would consist of friends and fellow trekkers. 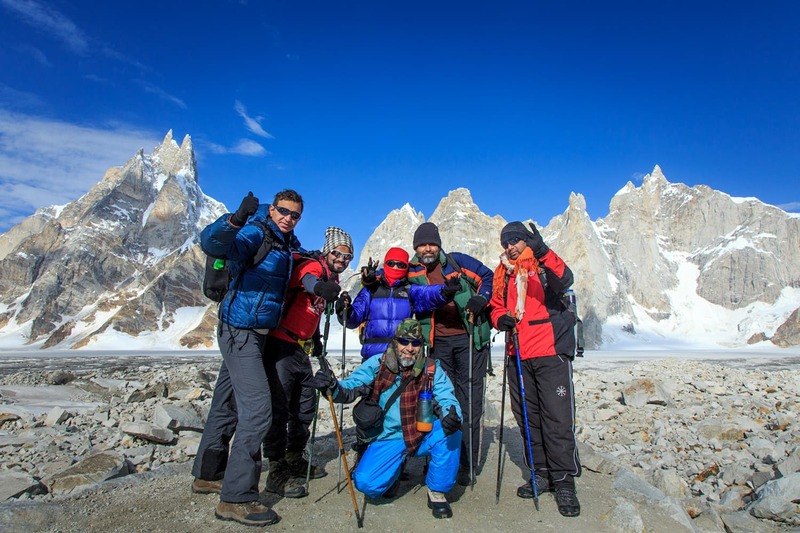 The planned trek was to start from Askole (a small town in the most remote region of the Karakoram mountains), cross Snow Lake and Hispar La (a mountain pass through the Karakoram Range), and finally descend to Hispar village. At last, an escape from the hot and sticky weather had presented itself (through no small amount of planning). But first, a bit of history. My love affair with mountains and trekking started in 2010, when I visited Fairy Meadows for the first time. Since then, I have been returning year after year, attached to these plains as a parched man in the Sahara would be to an oasis. 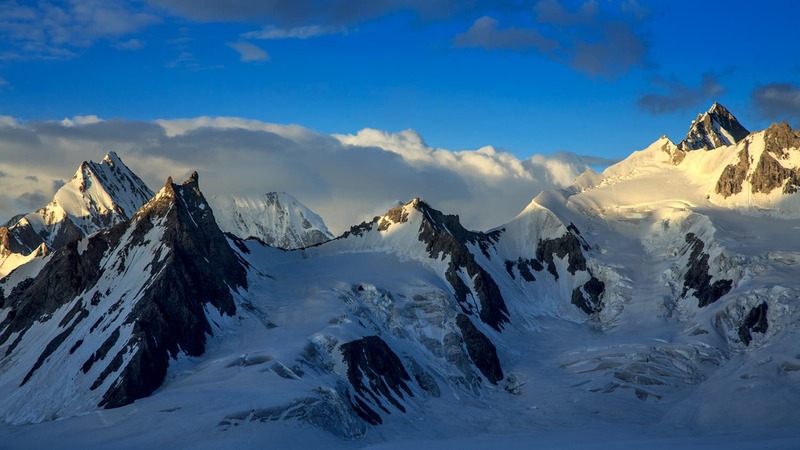 I spoke of this escape so fondly that my affinity infected my better half, whose excitement reached a fever pitch for her first venture into the Karakoram range. Askole - last human settlement before the wilderness. 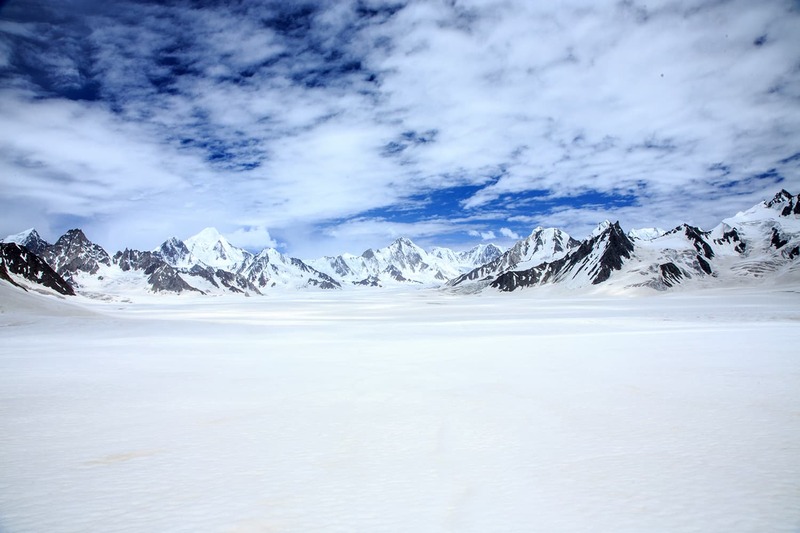 Snow Lake is a glacial basin located at an altitude of 4,800m above sea level, with a width of approximately 16km. 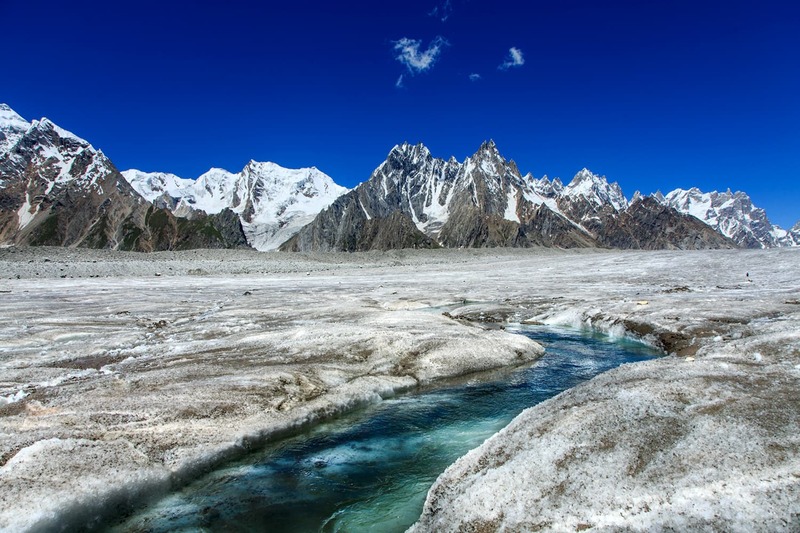 The basin lies at the head of the Biafo and Hispar glaciers and spreading down the Hispar Pass in opposite directions, forms a 100km long continuous glacier system, among the world's longest. 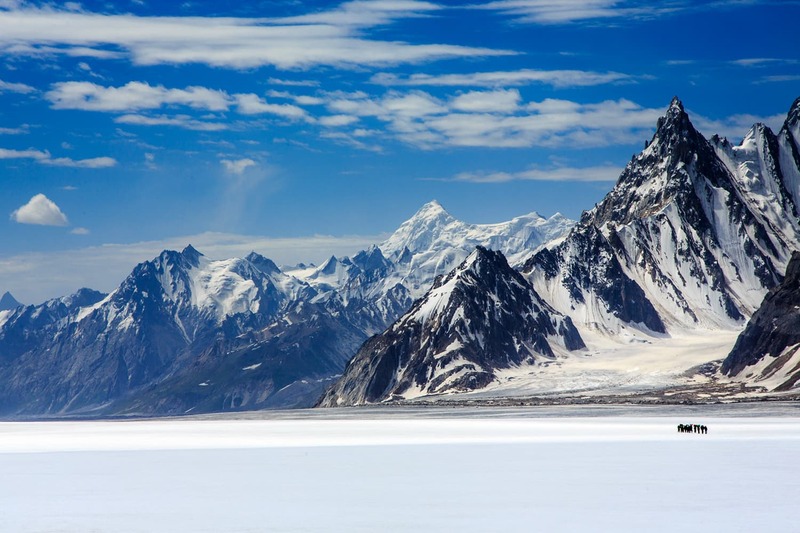 Martin Conway, the first foreign visitor and the one who named it Snow Lake, described it as: “Beyond all comparison the finest view of mountains it has ever been my lot to behold, nor do I believe the world can hold finer.” I defer to Mr Conway. Such wonders were made to be beheld. But like all (relatively) untouched marvels of nature, Snow Lake is very difficult to access. Fewer than 200 people manage to reach it in a year. We started off from Islamabad on a hot July day. It seemed that the heat would follow us north. I wondered if the Balrog’s fiery lash might hamper our ascent to Snow Lake. But I was as determined as Tolkien’s Fellowship. We shall pass! It was time to make final preparations. We double-checked to ensure that we had all the required equipment and supplies, since Snow Lake is considered to be one of the toughest treks. The following day the excruciating journey from Islamabad to Skardu began. One of our fellow trekkers was to join us for the road trip from Karachi, while the rest of the team had already reached Skardu. A mountain view from Snow Lake. Once we picked him up from the airport, we were off. Traveling on Karakoram Highway always made me happy, especially after crossing Thakot Bridge. 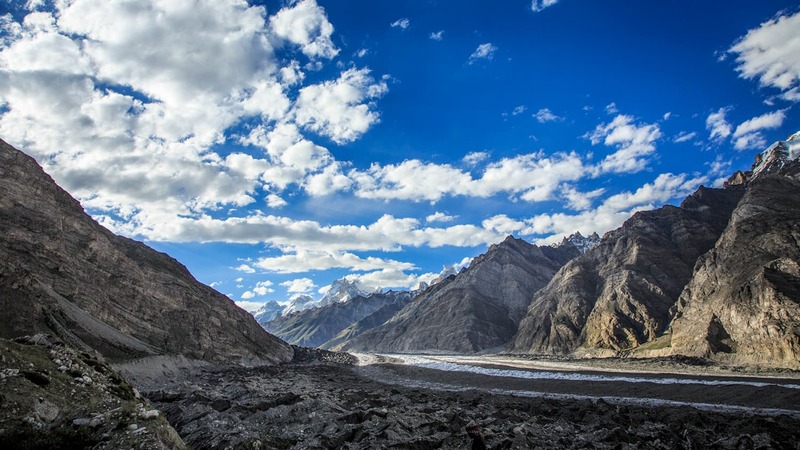 The narrow steep ascents and snaking descent of roads present some breathtaking views of the Indus River with majestic mountains making for a stunning backdrop. 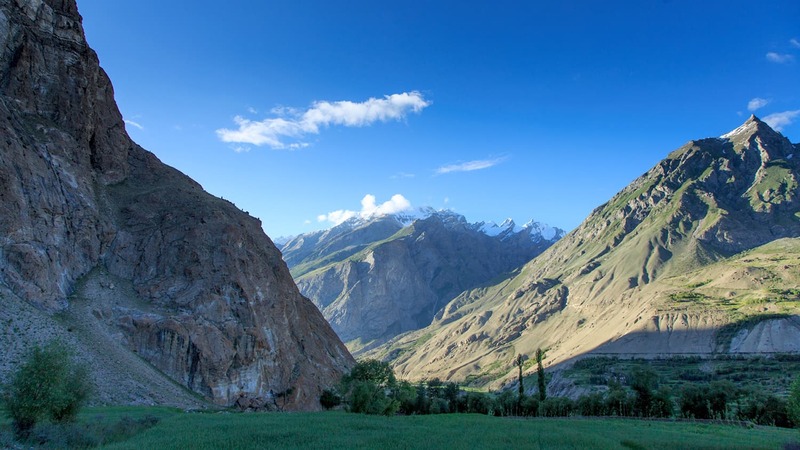 As one crosses through the region, the valley opens up leaving the traveller speechless. The journey had, however, become a nightmare because of a landslide near Jaglot. Was the Balrog breaking free from the mountains? 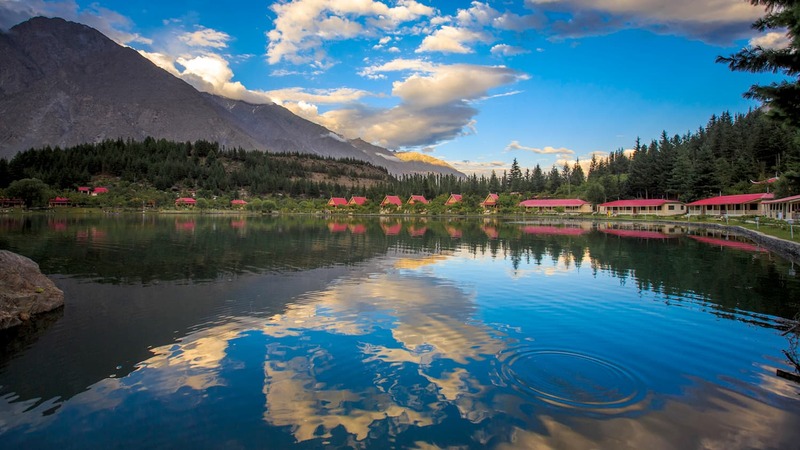 Our scheduled 24-hour road trip ended up being a 32-hour drive to Skardu. Hotel Mashabrum felt like heaven after nearly two days of non-stop travelling. The morning after, it was time to meet the team for breakfast. A banker from Lahore, an engineer from Karachi, a software developer from Hyderabad, a rice trader from Gujranwala, and the two of us — a photographer and fine artist — from the UAE. People from different walks of life and different cities were brought together by a passion to explore the icy mountain wilderness. A group of regular folk, not unlike Frodo and his cohorts. After getting to know one another, it was time to meet our guide Mr Ali Khan Machlu, who had much to discuss with us. He gave us a detailed description about the state of Hispar Glacier, the condition of the trek, and Hispar La. 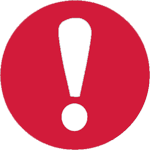 There were unconfirmed reports that Hispar Pass was closed due to a huge crevasse that had opened up on the other side of the pass. It was decided that we would trek till Hispar base camp and if we couldn’t cross through Hispar Pass, we would come back from the same route. After the meeting, the rest of the day was spent shopping for a few remaining things in Skardu. The evening was spent with a hot cup of tea at Lower Kachura Lake, photographing the lake with the beautiful architecture of Shangrila Resort in the background. As the night fell, it was time to sleep. We were closer than ever to our dream. Or so we thought. The day started early with a quick breakfast after which it was time to load all the supplies on the jeeps. 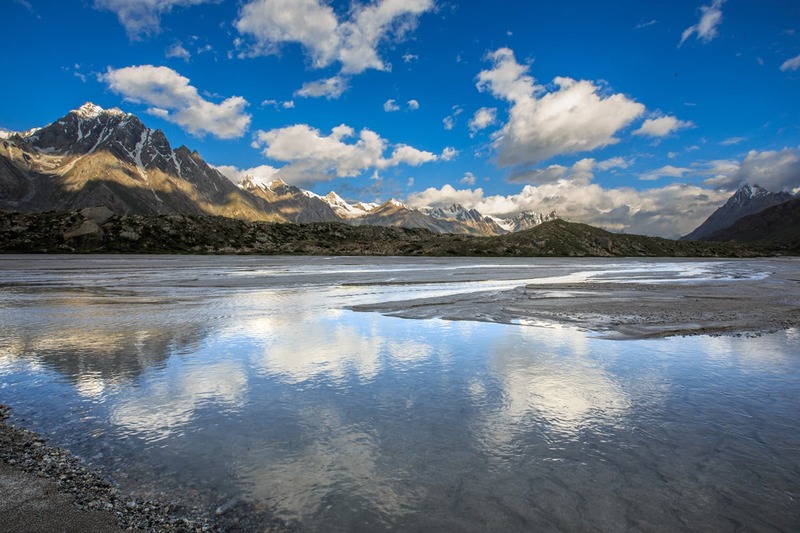 The journey from Skardu to Askole was very rewarding. Shortly after the jeeps left Skardu, we were on Shigar Road, passing through the beautiful Shigar Valley with its sprawling fruit farms and wheat fields, fresh fruit available at short distances all along the road. From Shigar Valley we turned right into Braldu Valley, stopping for lunch at Apoligon, a small settlement with a few houses and a small restaurant. Forty-five minutes after a quick lunch, we moved on until we passed by the awe-inspiring Braldu Gorge. The thundering sound of the water violently gushing through it was loud enough to make us shudder as we continued towards Askole. 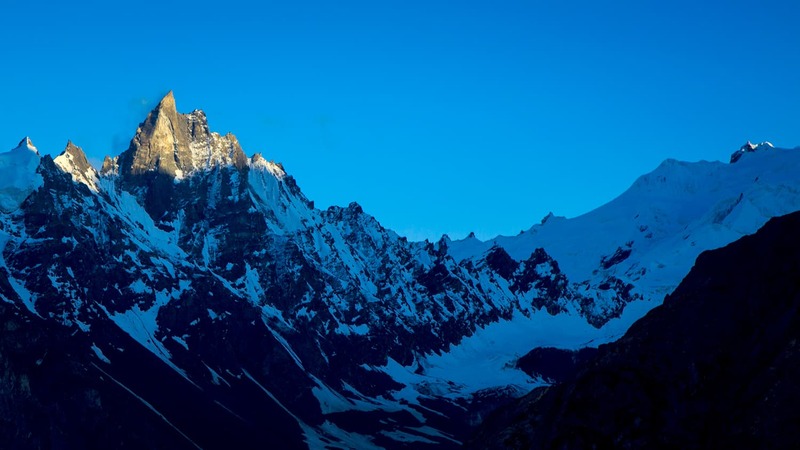 Khusar Gang Peak, Shigar Valley. When we entered the village, it was as beautiful as I remembered it from my last visit six years ago. It was all there: lush green fields of wheat, mud houses lined with walkways and simple, hard-working people could be seen everywhere. The snow-covered mountaintops were ablaze with the last light of the day. After reaching the campground, a 12-member porter team was finalised to accompany us for the Snow Lake expedition. By sunset, tents were set up in the camping ground and it finally was time for a much needed slumber. The trek started from Askole in the early hours of the day. It was hot and sunny. 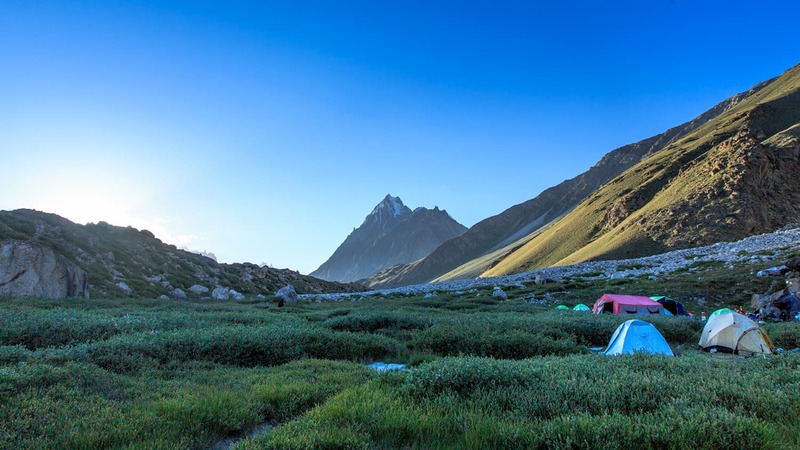 Our destination for the day was Namla campsite, situated in a small meadow by the Biafo Glacier. 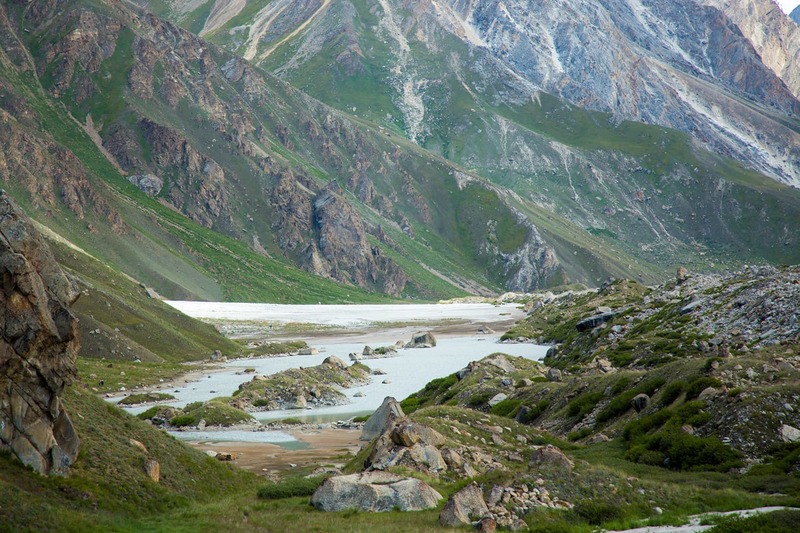 The trek’s beginning was fairly straight alongside the roaring Braldu river. 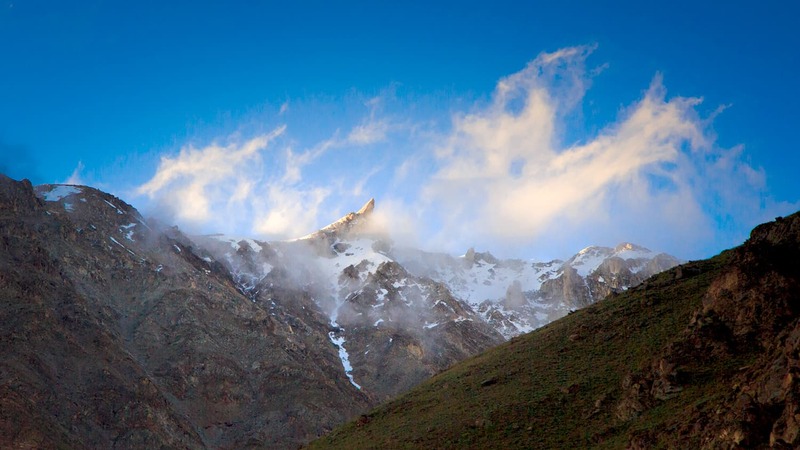 As we passed the Kiser Polo Ground, there was a steep ascent through the pass named Snum La, or Sky Pass, in Balti language. For me this climb was really tough and I was totally out of breath by the time I reached the top. As I looked on the other side, I caught the first glimpse of the mighty Biafo Glacier. Photographing the bottomless ice well at Biafo Glacier. The snout of Biafo had many crevasses and was full of boulders, scree, and glacial pools, stretching as far as the eye could see. Biafo is paradoxical in the way that its beauty inspires both fear and wonder at the same time. After descending from Snum La, we stopped for lunch. 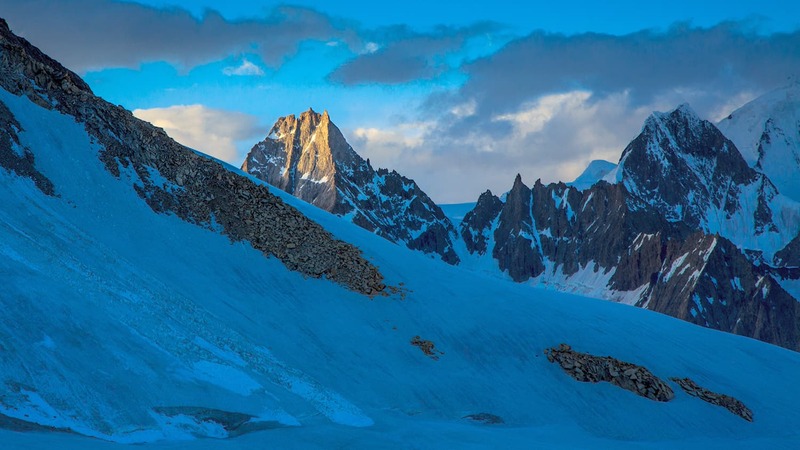 When we started trekking on the snout of the Biafo Glacier, it became became more difficult — this part of Biafo is a barren wasteland of rock, scree and debris making it extremely challenging to trek. We had to take a longer route to reach Namla as the straight approach was not possible because of the numerous crevasses marking the glacier. We reached Namla around evening time, where a grassy green patch overlooking Biafo was our campsite for the night. After a quick dinner it was time to sleep. We slept so soundly we didn’t even dream. 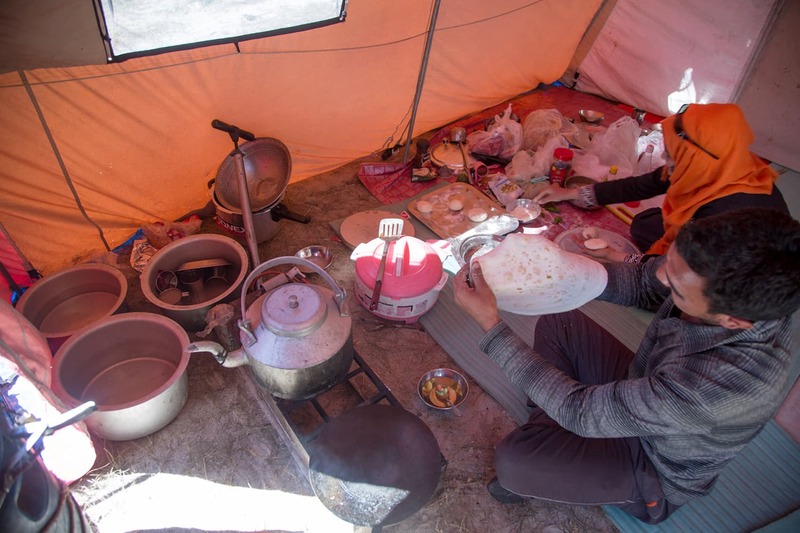 The next morning we awoke to a delicious breakfast made by Ali Hassan, the expedition’s cook. When we returned to trekking, we were greeted by yet another bright and sunny day. The day’s destination was Mongo, a campsite situated at 3,700m. Initially, the trek was tough due to crevasses, scree and boulders, but it got fairly easy once we reached the middle of the glacier. A view of Biafo from Mongo. We then walked on Biafo’s moraines. The trek was comparatively easy along this path, perhaps the beautiful glacier stream and mountains on both sides made it seem easier. We reached Mongo around afternoon time. The campsite was on a grassy patch, making it feel like an oasis in the middle of all the dry rock and barren ice. The views of Biafo from high up were breathtaking. Reaching Mongo with enough time to enjoy the daylight was totally worth the effort. The next campsite was Shafong. The sky was leaden, sprinkling us with a bit of drizzle, a marked contrast from the consecutively sunny days we faced when we set out. A few hours after we started trekking, the Biafo Glacier started to peek out over the horizon, and soon after it showed its visage, we were on the icy-white glacier. 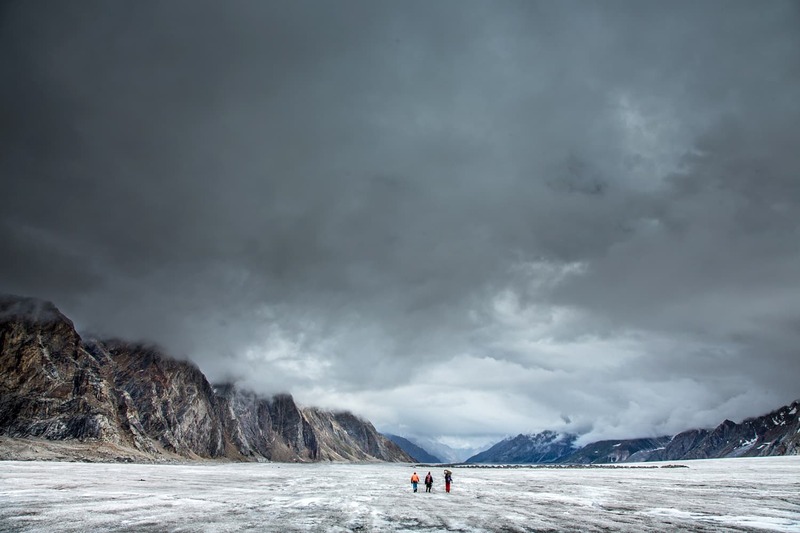 The sound of ice crunching under my feet, and white clouds overhead made the trek languid and joyful. As we continued on Biafo highway, we started seeing crevasses. The further we advanced, the greater was the number of crevasses we encountered. With each day, our destination was getting closer and our dream of finally trekking over Snow Lake was slowly becoming manifest. However, our destination was still far. Getting off of Biafo Glacier to reach the Shafong campsite was tough. 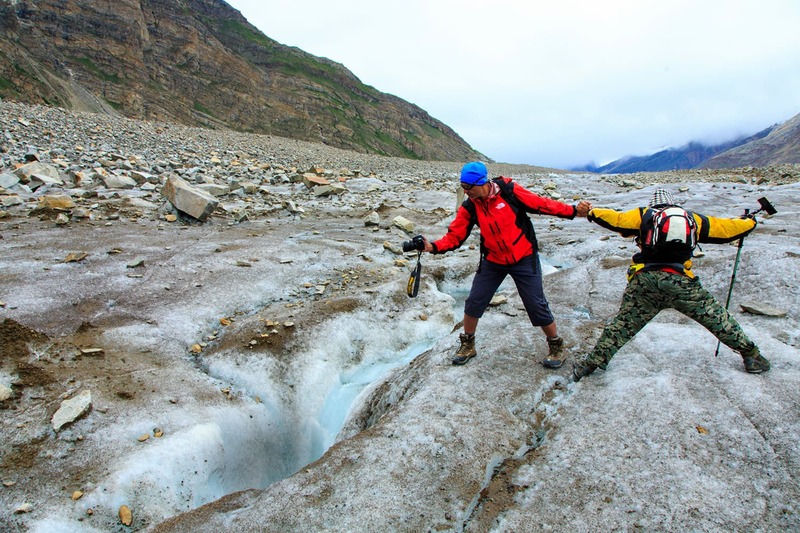 We had to get across the glacier’s many crevasses and climb on its steep side, laden with unstable boulders and scree. As we got off the glacier, a steep, almost vertical cliff awaited us, on the other side of which was Shafong. After scaling this steep ascent, we reached an absolutely heavenly campsite in an ablation valley, with lush green meadows and streams of ice-cold water running across it. We stopped for tea and admired the scenery. After a caffeine infusion, we continued trekking for another hour before we camped on an emerald patch of grass at Shafong. It felt like we had found paradise on earth, with the beautiful Sokha Lumbu (5,650m) and Tongo (5,900m) right in front of us and beautiful grassy slopes spread behind, as if two stone titans were sleeping on a turquoise rug, forever oblivious of their own splendour. The beauty quickly gave way to the night’s extreme cold, followed by an equally freezing morning. But there was respite: the next day was bright and sunny. 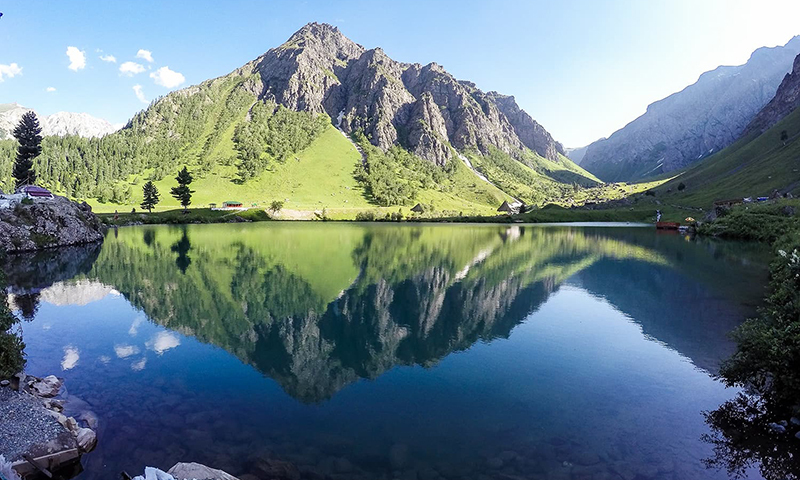 We continued our trek toward the nearby Baintha campsite, where we passed through yet another stunning ablation valley, crossing small waterbodies through lush electric-green meadows. We managed to reach the Baintha campsite, situated on yet another green meadow with an amazing view of the Latok group of mountains. The day’s expedition was relatively short, and the rest of the day was spent recuperating under the sun. Here, our expedition’s cook decided to treat us with delicious aaloo kay parathay (potato-filled flatbread), with a little help from a female team member. The parathay more than made headways in helping our battered and fatigued legs recover. Day gave way to night, the sky was clear with no clouds in sight. As if on a maestro’s cue, the stars came out dancing, waltzing into place, transforming the night sky into a celestial orchestra. Getting to the middle of the glacier was the hardest part of the day. Once we got on it, the walk was pretty straightforward. From there onward, there was no grass to be found, just snow, ice and rocks for the rest of the way. It felt like we had forayed north of The Wall. On Biafo highway, the glacier was lashed with many deep crevasses, so we had to walk around in order to find a suitable place to cross or jump over the cracks in the glacier’s surface. We stopped for tea, which powered our trek to avoid the crevasses. The average time it takes from Baintha to Marphogoro is around six to seven hours. At about 5pm, we had been trekking for 10 hours. 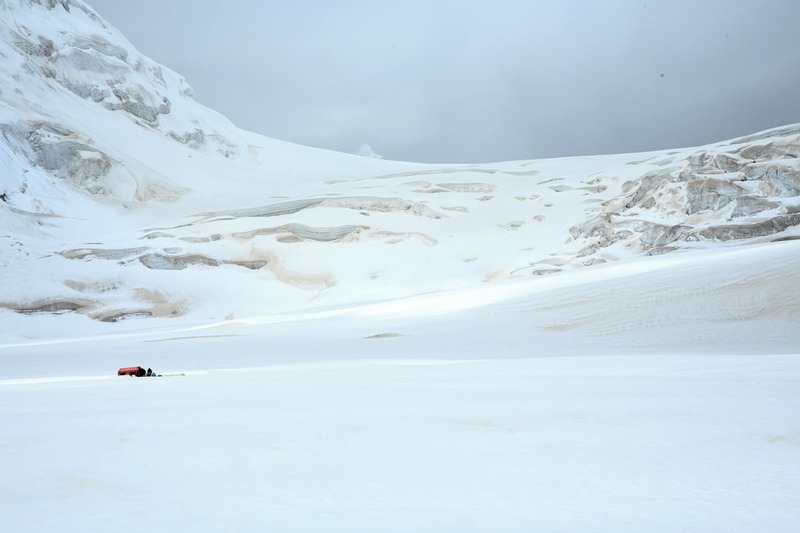 The guide started to panic — we were seemingly lost on the vast Biafo Glacier, as the sun started to set behind the mountains and the temperature on the glacier started to drop rapidly. 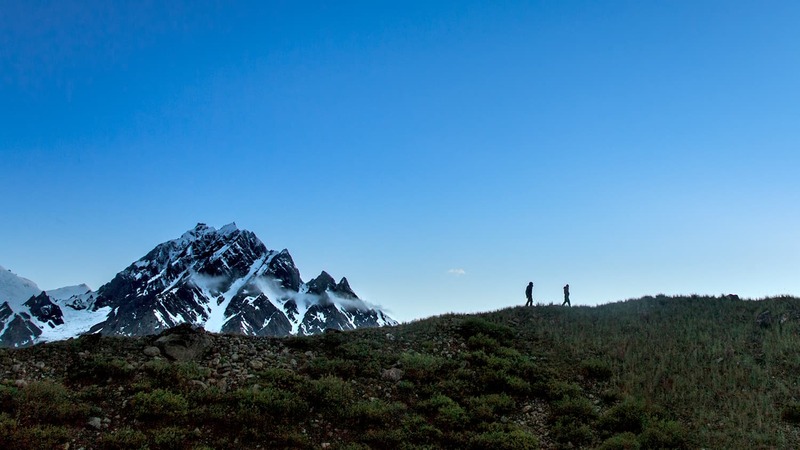 At this point, the team unanimously decided to go back in the general direction of the Baintha campsite, hoping, nay, praying that any of the porters would see the lights of our headlamps and find us. After trekking back for about two hours, it was completely dark. We were jumping over the crevasses with only the light of our headlamps to aid our visibility in the vast white nothingness. 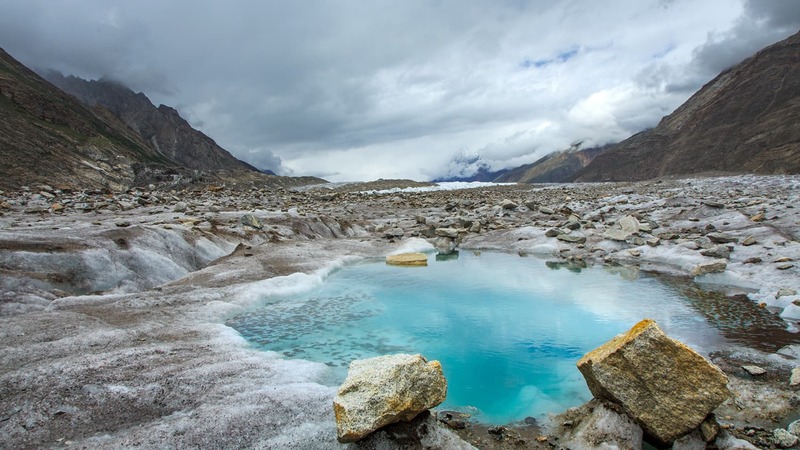 A glacier stream at Biafo. Trekking in dark like this is extremely dangerous. It was a life and death situation — one wrong step could have killed any one of us. Our cook, Ali Hassan, nearly fell into a gaping crevasse. By then, we thought all was lost. Our guide had missed the intended campsite so we continued trekking towards Karfogoro. But we were rescued by the porters at around 8pm. They came looking for us when we did not reach the campsite till sunset. We marched for another two hours to finally reach Marphogoro. It was a tough day but in the end, everyone made it safely to the campsite. Being extremely exhausted from the previous death-defying day, our late start was warranted. The trek on the glacier from Marphogoro to Karfogoro was relatively easy. We were trekking on ice with hardly any rocks visible, but avoiding crevasses is the main challenge on this portion of the trek. After spending the better part of the morning avoiding the large crevasses in this part of the glacier, we had become fairly accustomed to hopping over them. Looking towards the end of the glacier, one could catch a glimpse of Snow Lake. But we had to reach Karfogoro first. Trekking on Biafo on the way to Karfogoro. Karfogoro is a difficult-to-reach campsite. The approach to the campsite is imperiled with many deep fissures. Unstable rocks and scree litter the path, and to top it off, there are plenty of steep ascents and descents to conquer before one reaches the site. Karfogoro campsite is on the edge of a mountain. Freezing gale from Snow Lake strikes the campsite with furious aplomb, leaving nothing but rocks and very narrow spaces between boulders to inhospitably set up camp in. But for me, it was an amazing place because I could see the edge of the Snow Lake as it bended around a curve. Our excitement was palpable, as the next day the opportunity to trek on Snow Lake had finally arrived. The view of the landscape from Karfogoro at sunrise took our breath away. The azure sky, a mighty vanguard of mountains protecting the glacier, with a sliver of Snow Lake visible in the distance. The high vantage point made it even more mesmerising, as God’s canvas was on full display from this height. Getting off from the Karfogoro campsite was a nightmare. 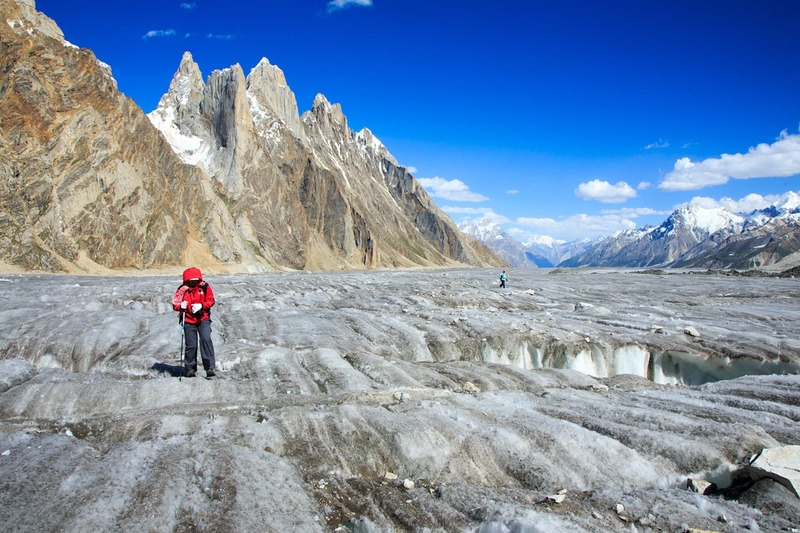 Crossing through the labyrinthine crevasses and boulders made it an ordeal to get back to Biafo Glacier. 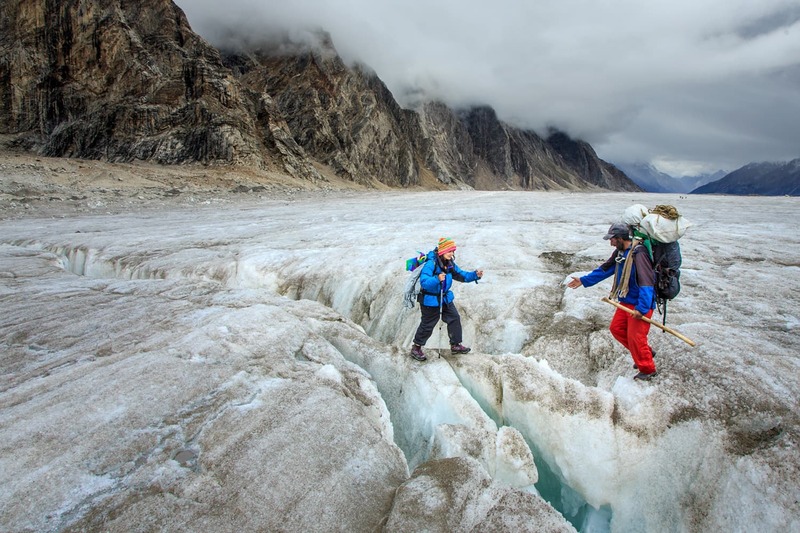 As we reached the snow-covered part of the glacier, it was time for both teams to rope up. Porter team on the way to Hispar La base camp. Because of the high altitude, snow falls all year round at Snow Lake and crevasses get hidden under the soft layer of snow. There is always a danger of falling into any of these hidden chasms which, needless to say, would be fatal. All the team members put on their harnesses and fastened themselves to a single rope so if any person falls into a fissure, the rest of the team could pull that person back up. Ali Khan Machlu, our guide, led our team through the soft snow. Machlu would carefully inspect the ground with his stick before taking a step on the snow and each of us had to take care to place our steps exactly in the same place as our guide. The day was bright and clear, but it could not expose the danger hidden beneath the soft sheet of snow. This uncertainty gave me a cold sweat and my heart kept pounding while the team continued to trek on. The first glimpse of Snow Lake. After a few hours of stressful trekking, we made our way into the centre of the snowy wonderland. It felt like we were in the throne room of the mountain gods. Whenever we stopped for a break, we all looked up and tried to absorb as much of the place as we could. It looked like a place straight out a fairy tale. The feeling of being on Snow Lake was beyond any description. This place had the finest view, bar none, of mountains everywhere we looked. The textured rock, visible through the glassy ice, complemented the bright blue sky, while the shimmering snow spanning the horizon was nothing short of a Monet painting. After six hours of trekking on this beautiful paradise, we reached the Hispar Base Camp. 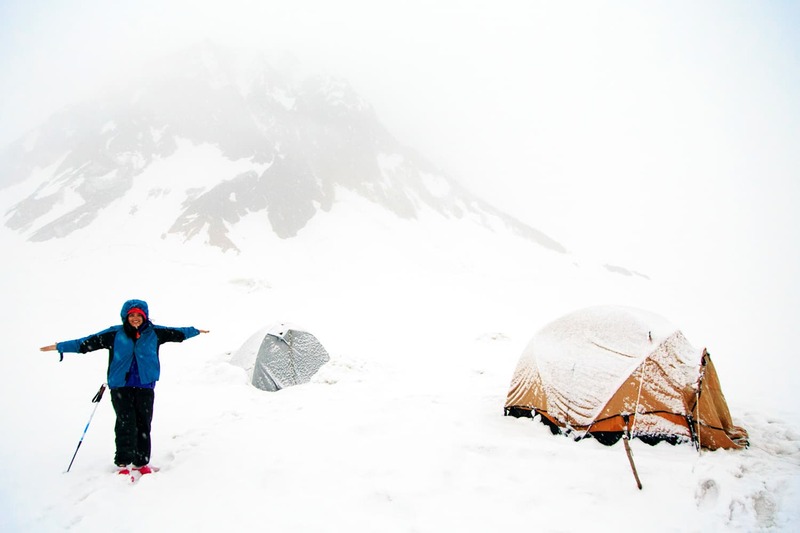 The campsite was a Haruki Murakami novel come to life: white snow all around and located right at the base of Hispar La. A magical evening at Snow Lake. Now that we had reached our scenic wonder, it was time to celebrate. 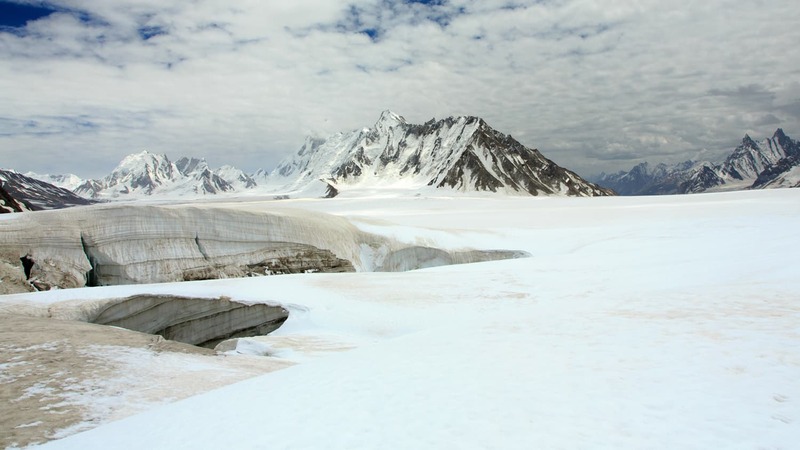 Ali Hassan, our cook, picturesquely served us Rooh Afza, standing at the base of Hispar La with the ice-shored Snow Lake behind him. 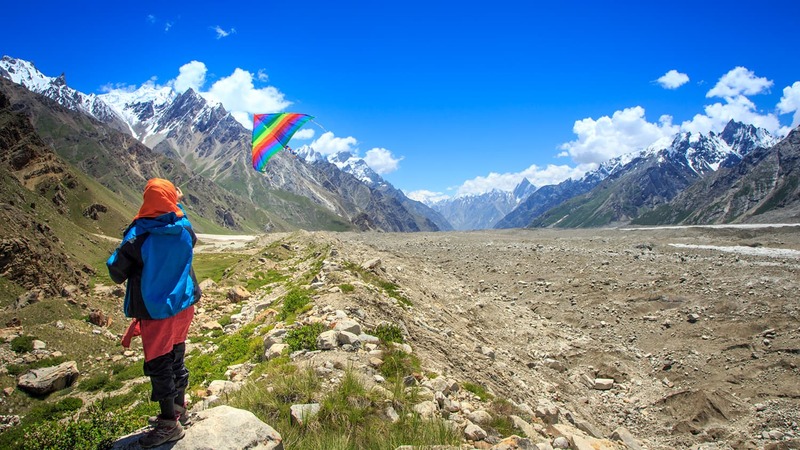 The afternoon was spent flying kites and sitting outside the tents, enjoying the almost divine view of the surrounding mountains, standing tall at an altitude of 5,100m. The evening sun cast its magical glow onto the mountain tops. Snow Lake is far more beautiful than what I could have imagined. Words simply cannot do justice to its beauty and majesty. 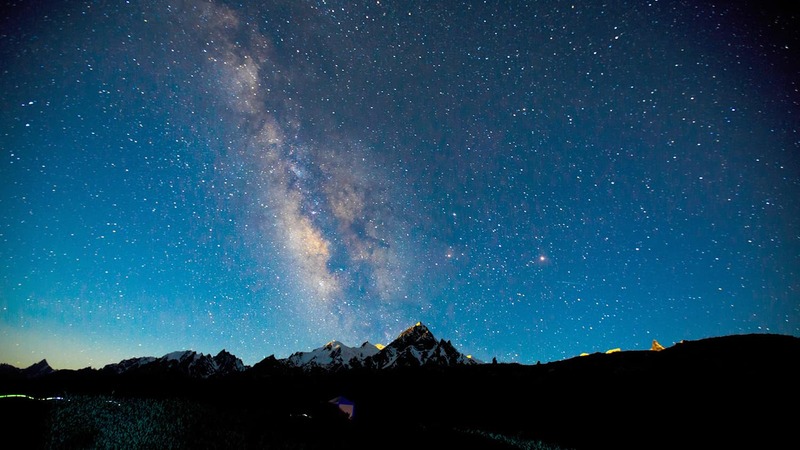 The sky was clear as the sun went behind the mountains and gave way to a magical night sky dotted with stars. In the early hours of the morning the clouds rolled in and the whole sky was painted gray. As I got out of my tent, crystalline flakes of snow began to fall. The visibility was severely limited, to just a few metres ahead. Kite-flying on the edge of the Biafo Glacier. We spent the rest of the day huddling close inside the kitchen tent, sipping hot tea and swapping adventure stories, all the while hoping and praying that the weather will clear. However, Mother Nature grew angry and the weather conditions took a turn for the worse. The snowfall did not stop its merciless descent and in the evening the decision to start trekking back in the morning was made, no matter the situation at the time. We all lay down to sleep, fearful of what the next day would bring. The snowfall stopped in the middle of the night and suddenly there was an eerie silence. I decided to take a look outside but could hardly see anything. It was a pitch dark, silent night, and nary a sound could be heard except for the scuffling of snow under my boots as I walked a few paces away from the tent to explore. It was so cold I thought I would freeze right there and they’d find a snowman of me the next day. So I thought it best not to venture too far in the dead of night and made a quick return. I barely slept all the while praying for a safe descent the following day. The next morning it had stopped snowing but a thick layer of clouds was still covering the sky. We started our journey home very early, but tread cautiously as more snow would have piled on top of the already thick blanket of ice that hid the gaping chasms. But no amount of caution can fully safeguard one from the perils of deceptive snow, as my leg broke through what felt like a sheet of ice into a hidden stream of water. I was lucky to maintain my balance and quickly pulled on the rope,managing to drag myself out of the hole. My entire leg had been submerged in the sub-zero water, but luckily my protective clothing held up to the test and I did not get wet. However, there was no shortage of fear on my part. But we picked up the pace, because our team wanted to cover as much ground as possible. The thick clouds weren’t going anywhere, floating in the sky like the stationary but foreboding alien ships in Wells’ War of the Worlds. Helping a team mate across a crevasse. We had to consider the significant drop in visibility if the snowfall were to start once more. 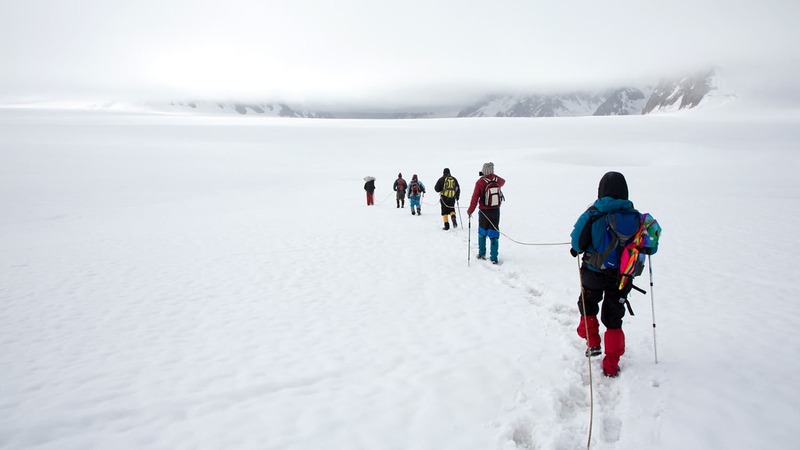 Both teams were trekking swiftly, navigating through the large cracks in the glaciers – keeping an eye out for the hidden ones under the snow. The visibility wasn’t the only thing to be mindful of. Thin air and, consequently, the low level of oxygen at this altitude made it difficult to breathe. But we soldiered on, for three more hours until we reached the edge of Snow Lake. Here, the snow started to fall again, but thankfully we had already crossed a large part of the lake. When we descended to Karfogoro, the snowfall had turned into rain. We stopped at Karfogoro’s campsite for a quick cup of tea under a plastic sheet sheltering us from the needle-sharp icy rain. A breathtaking view from Baintha. After we were sufficiently warm, we continued marching in the rain towards Marphogoro. On our way to the campsite there, the clouds cleared up, and we welcomed the gentle sun’s smiling warmth on our cold, weathered bodies. We reached Marphogoro by evening utterly exhausted from the trek. Sleep came and snatched me of my consciousness, the way the Pied Piper stole the children of Hamelin. Like the children who followed him, I too, willingly embraced the gentle music of slumber. The following day we had lunch at Baintha and camped at Shafong. 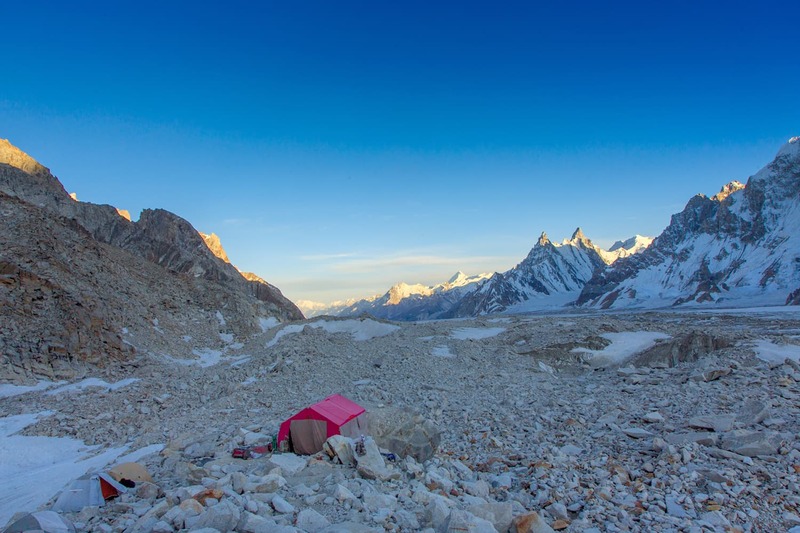 There our team decided to skip two campsites to reach Kiser Polo Ground the very next day. The following day, we had reached the snout of Biafo Glacier, puzzling through the maze of crevasses, glacier rock and scree which was anything but easy. But we managed. Another mesmerising view from Baintha. 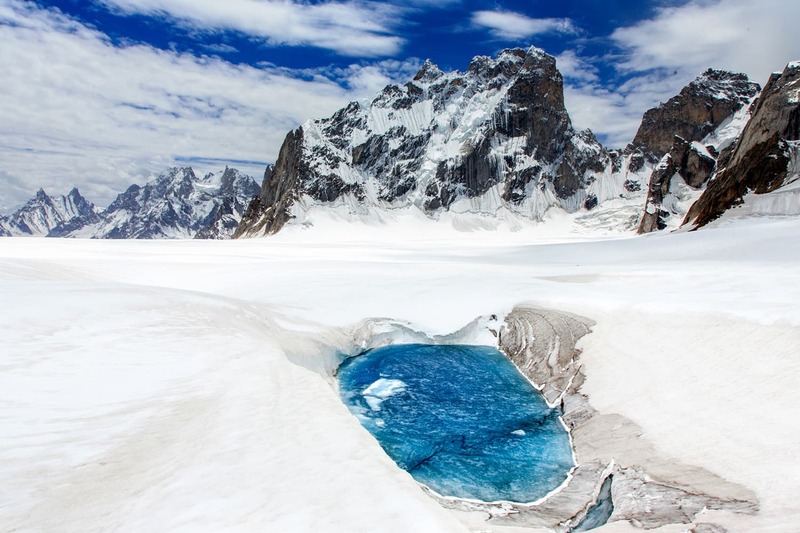 As I was sitting outside my tent at Kiser Polo Ground, right beside the gushing Braldu river, all I could think of was the wonder of the hypnotic Snow Lake. 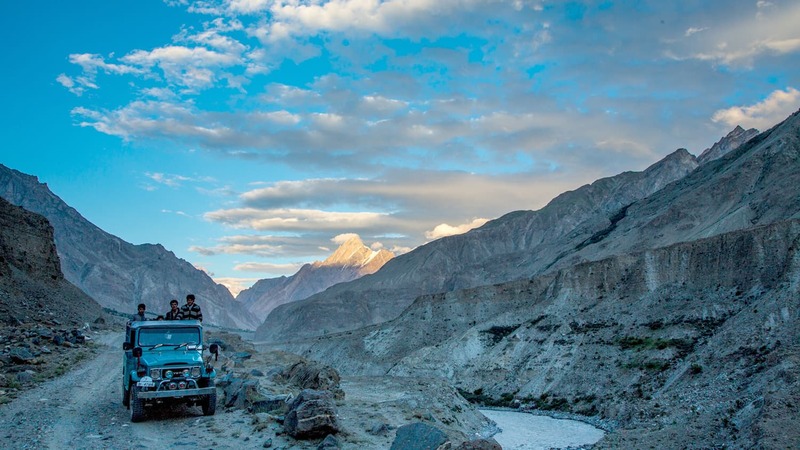 The next morning we reached Askole and stopped there for breakfast and hopped on a jeep back to Skardu. On the ride back, I was haunted by memories of the joy I had felt at Snow Lake and Biafo, and of the feeling of accomplishment that we had conquered an almost insurmountable obstacle. The words of my guide kept echoing in my ears, “Biafo bachon ka khail nahin hay piyare! (Biafo is not child's play, my friends! )” Now we were amongst the handful of people who have witnessed the magnificence and fury of Biafo and Snow Lake. Snow Lake - first light. Snow Lake - last light on the top of the world. 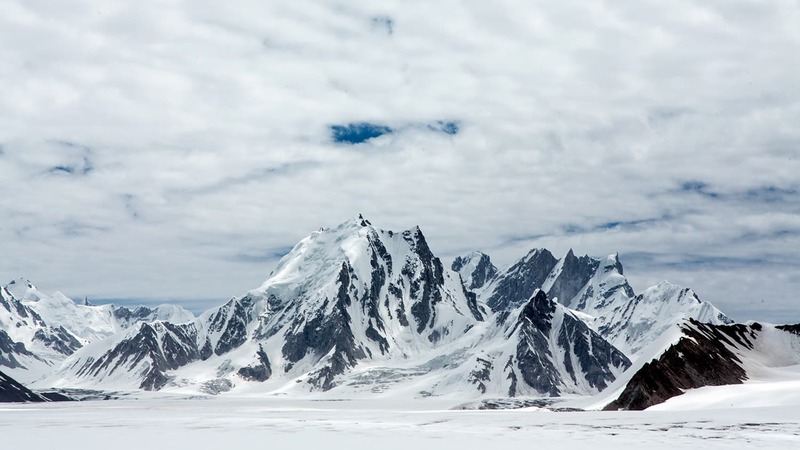 The Karakoram mountain range has its own unique beauty. 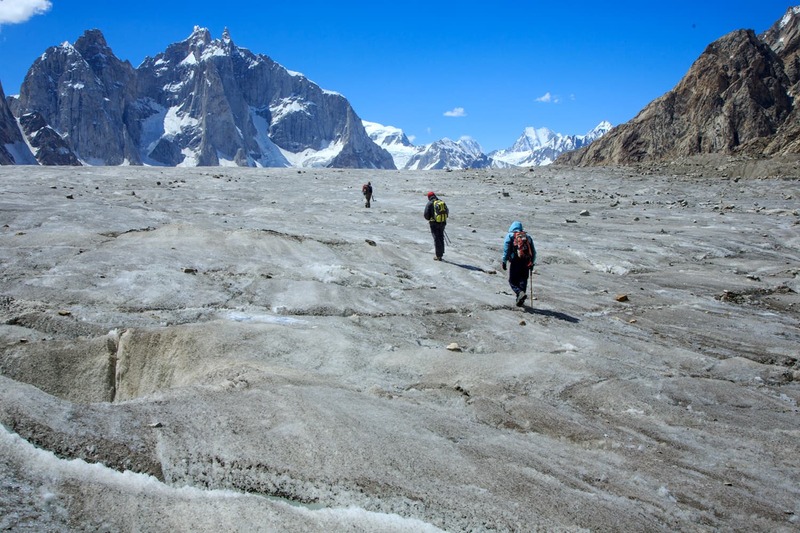 Having done other treks in the region, Biafo Glacier is in equal measure far more dangerous and far more rewarding. 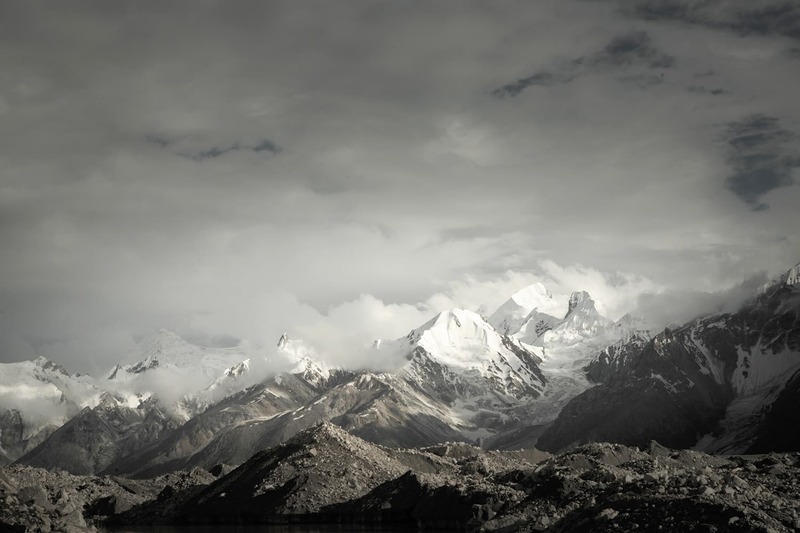 The harsh glacier terrain gives way to beautiful ablation valleys, breathtaking Baintha and Shafong, and the towering Karfogoro. All the campsites are a unique experience in their own right, making it a memorable piecemeal adventure, like square pieces of fabric, stitched together by hand to make a lovely quilt. The peril we encountered along the journey taught us the depths of our limits and the heights of our determination. In a way, I am thankful that the path to Snow Lake was so dangerous, as it serves to preserve and safeguard the natural wonder of Biafo, keeping it untouched for only the most adventurous of spirits. A white sheet of ice covering Snow Lake. A sunny afternoon at Snow Lake. Trekking towards Morfogoro campsite from Snow Lake under the thick cover of clouds. A small glacier pond at Snow Lake. 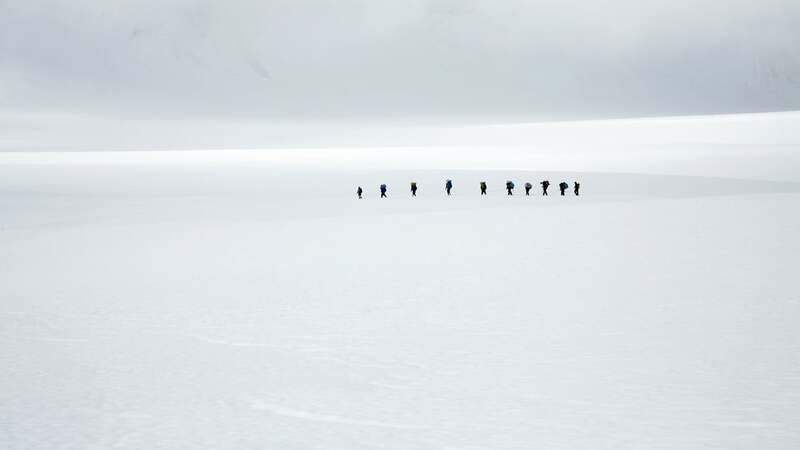 Team trekking over Snow Lake towards the Karfogoro campsite. The first camp at Hispar La. Enjoying the snowfall at Hispar La base camp. After getting lost on Biafo. Navigating through crevasses at Biafo. Symphony of lights at Shafong. 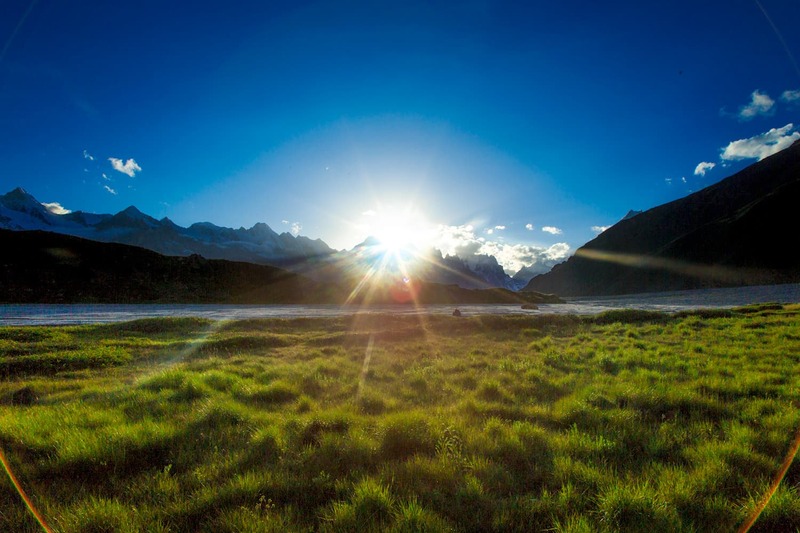 The first light of the day at Shafong. An evening walk at Shafong. Aaloo kay parathay in the making inside the kitchen tent. 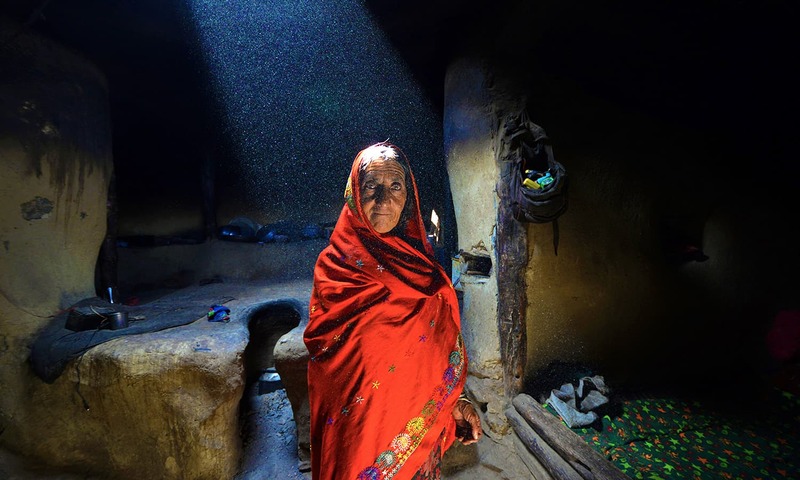 Zaigham Islam is a photographer and filmmaker based in the UAE. You can follow him on Instagram at zaighamislam. Such a beautiful journey...wish to be with you. I admit Northern Pakistan Mountains are way more beautiful than Northern region of India. If I ever get the opportunity I would love to see Desoai Plateu. I recently met a Pakistani from Hunza Valley in Japan. I shared a meal with him and became friends, so one day my dream will come true. I enjoy the artical and photography of such a wonderful place in Pakistan. I appreciate your effort in bringing the nature in our living room. Great job and God bless you. Wow, the words and pictures truly takes the reader in the mesmerizing world of Snow Lake. Read through your entire article, in one go. This is indeed a dream land, A fairy land , we use the term Heaven on Earth every now and then in our conversations. I wish that term could have been saved and NOT used BUT for this place! You have written your adventure log in a superb manner! Absolutely LOVE the small references of Lord of the Rings & Game of Thrones! Every single line you have written, is worth reading ! The snaps you have captured are.....well they look simply OUT OF THIS WORLD! And if , for many of us the world is restricted to the concrete jungles we live in (for now!) then YES! this place you went to , indeed IS OUT OF THIS .... WORLD! Well done, congratulations to all of your team! You folks are the pride of this country who show the rest of the world, how lovely & enchanting our beloved country is! At my age, 75, and Medical conditions, I only dream of such trekking. Thanks Dawn for this upload. Mesmerizing. Thank you for providing us with a glimpse of this magnificent journey. The photographs were exquisite and provided a distinct sense of the place. All the best for your future adventures. WOW, What a scenery and what a photographer. Love it. Oh so beautiful!! Beautiful photos and words that are lyrical. Only possible because you are in love with nature. More power to you. May the Gods of the Mountain give you their throne. Aesthetically profound words to describe this crown of all the treks ,and equally stunning n breathtaking photos to allure one to fall in the trap . Speechless. I got goosebumps looking at the pics. We welcome you to Pakistan open arms brother, you are one of us. May you have a great trip. Do check with the park agencies when they are open, many times the park is closed even when it's time table says open because the heavy snow fall and abrupt snow fall condition. Make sure to have at least few weeks trip planned if not more. It takes days just to get to Balti areas. 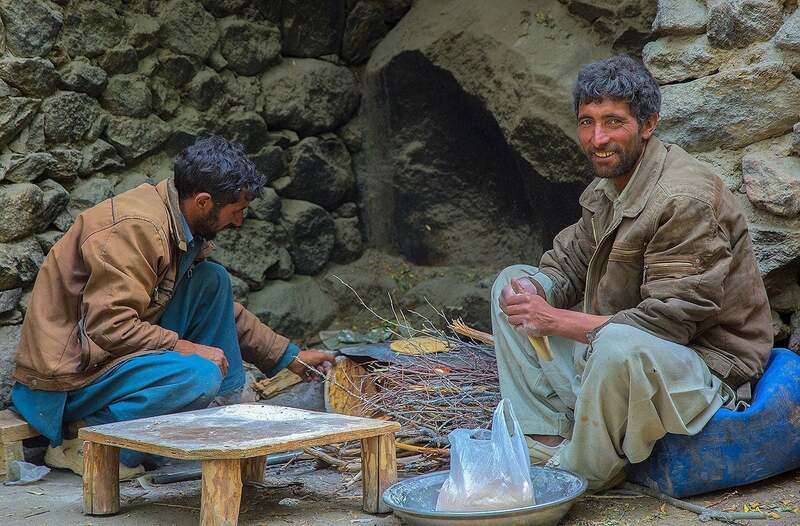 People in Pakistan in general are extremely hospitable and people in north of Pakistan are as friendly as they come, with that Aga Khani spirit. May you have a memorable and beautiful trip to the land where our Indian civilization started. @anurag bansal these are some tips from our side for you. Spectacular. Thanks for the wonderful photographs to give me a glimpse of a place that I will probably never get to visit. I will surely save these pictures of the wonderful creations of the Almighty. So desolate and so beautiful. Reminds me of the AR Rahman song "Rehna tu... hai jaisa tu... thodasa dard tu....thoda sukoon...."
Pakistan mountains are small, Indian mountains are higher. Wow. What a trek, what adventure and beauty! Writing, photos and courage all are as mighty as K2. A very good article and good pictures. This reminds me of the K2 base camp track which I did twenty years ago. I had similar experiences. This year I did Chitta Khatta lake in AJK at the age of fifty five. If you have not done it, give it a thought. You won't be disappointed. @anurag bansal Eaity comes with peace. Azad Kashmiris are living peacefully in Pakistan while the Kashmiris under Indian control are still dreaming of their real homeland: Pakistan. @Dr.Zaidan will be back very soon to do the same! LOL, World 2nd highest mountain is in Pakistan, 5 of the 14 8000 meter high peaks are in Pakistan, 40-45 out of 100 highest mountains are in Pakistan. @anurag bansal hope and pray that your wish comes true. What an absolutely lovely account of a fantastic journey. Kudos to the spirit of the team. 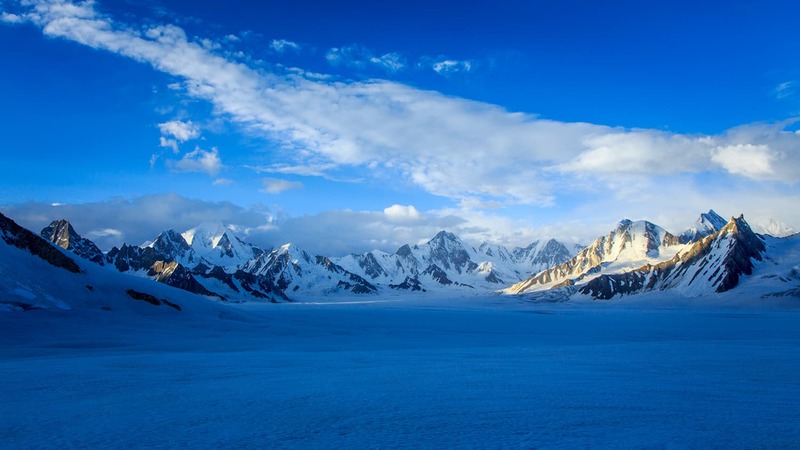 Pakistan has the worlds most mind-blowing mountain scenery! 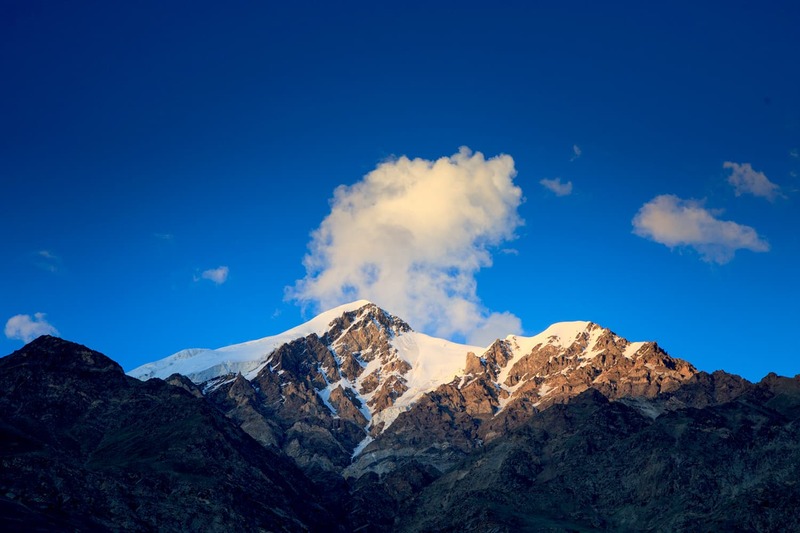 Beautiful article a Breathtaking journey through the mountains and the glaciers of northern Pakistan where the beauty lies above and beneath you. Finally story telling as if we were with you all the way. Thanks with best wishes you may continue in the future. Thank you for sharing a glimpse of this spectacular journey. Awesome, thoroughly enjoyed the travelogue and visuals. Beautiful. This piece of article is brain child of a true adventurer and a great photographer, so many people travels and treks but few of them can only express their feeling and then one of them could create a masterpiece, in my opinion this one is undoubtedly a master piece. He visualized the journey in both ways, in writing and by his exquisite photography, you can not decide if he wrote well and photographed well. 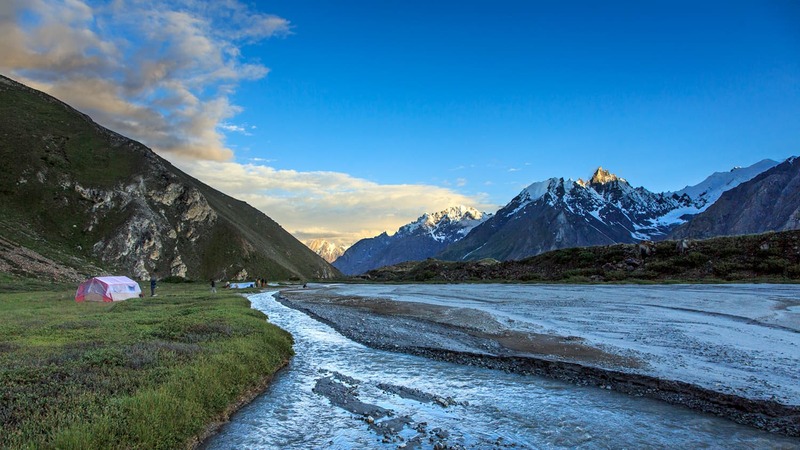 truly majestic....as an indian is it safe to travel to this part of pakistan...can anybody advice me... i would love to see this beautiful country of my ancestors !!! Beautiful images! Thanks for bringing the Snow Lake to me. I am not adventurous enough to go there myself. I wish I will visit atleast North region of Pakistan one day. These pictures are breathtaking. beautiful it was a great read you had an amazing trip my friend and great writeup.